A common source of joint discomfort is inflammation. In fact, many of the problems associated with joint pain stem from inflammation. This can cause joints to become inflamed, swollen, stiff and even rickety when cushioning in the area gets affected. Here’s a look at some of the most common issues causing joints to become inflamed and painful. Arthritis, despite being very common, isn’t well-understood. It’s not a single disease but a name given to group of about 200 problems that affect the joints. 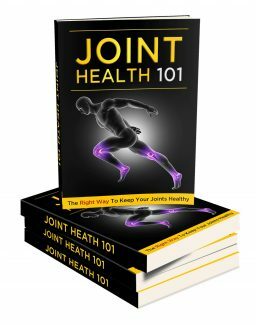 The root cause behind all of these problems is inflammation of the joints. Arthritis can affect people of all ages but is most common in women and older individuals. The common symptoms that you can experience during arthritis are pain, swelling, decreased mobility and stiffness. Symptoms can range from mild and moderate to severe. 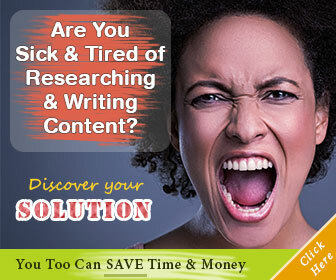 As arthritis worsens, you may find doing everyday tasks a nuisance. Inability to climb the stairs or bend down are common symptoms of progressed arthritis. Osteoarthritis is arthritis that occurs when wear and tear of cartilage takes place. Being the most common type of arthritis, this problem is characterized by excessive pain and stiffness. As the cartilage wears away, there’s no cushioning left for the bones. So, when you move, the bones run against each other and this friction causes the feeling of discomfort. If the problem persists, the condition can get worse and joint strength is lost. The risk factors for this problem are obesity, age and any previous injury. Anyone with a family history of osteoarthritis is also likely to get it at some point in their life. Arthritis can impact any set of joints, but its effects are felt most in the hips, knees, neck, back or the hands. Another example is rheumatoid arthritis which is a kind of autoimmune disease. In this condition, inflammation increases in the body which causes joint damage and pain. Risk factors include genetic and environmental reasons. For example, smoking is a risk factor that can cause rheumatoid arthritis in specific people who have a particular gene. The aim of medication that is given for treating this disease is to increase mobility and reduce stiffness. Arthritis is diagnosed by a physician by doing blood testing and taking some imaging scans. If the problem gets bad, an orthopedic surgeon performs joint replacement surgery. Arthritis may also affect other parts of the body when it progresses, so other specialists like dentists and ophthalmologists may also be needed. While the knees, neck and shoulders are spots more susceptible to joint pain, gout presents itself in the big toe of the foot. It’s a very common type of arthritis that causes stiffness in the area which is accompanied by excessive swelling and intense pain. While it’s common in men, women who have reached menopause also become more susceptible to gout. The cause of this joint problem is the deposition of uric acid in the blood stream. This could be due to two reasons; either there is too much uric acid production or the kidney is not able to efficiently remove uric acid from the body. Inflammation, resulting from excess of uric acid crystals in the blood, is the prime cause of this problem. Gout attacks are specific and quick, mostly occurring in the middle of the night. Medication is used to treat gout problems. It is used for reducing the symptoms and preventing future attacks. Since worsening of gout can also cause kidney stones, medication is used to prevent the situation from getting any more complex. Bursitis is an inflammatory condition that affects the bursa. The bursa is a sac that is filled with fluid, present between the skin and the joints. As it is present above the joints, it acts as a cushioning agent between bones and tendons. Common symptoms associated with bursitis are swelling and tenderness. Bursitis mostly occurs in elbows, knees, hips, knees and shoulders but other areas in the body can also get affected. Bursas become inflamed when there is a repetitive movement or injury. If you indulge in any sports or physical activity where you are performing repetitive activities on daily basis, your chances of getting bursitis increase. For example, if you bowl every day, you may get elbow bursitis. People who spend a lot of time on their knees such as gardeners are also prime victims of knee bursitis. Sometimes, bursitis may even be caused as a development in another arthritis condition such as gout. Bursitis can also be treated at home. Easy treatment methods for bursitis are forming a cold pack or resting the area. Also, painkillers such as paracetamol can also help speed up the recovery process. Although the pain goes away in a few weeks, swelling lasts for a longer time. To prevent bursitis, it is important that you wear knee pads when you are playing and always warm up before exercising. If your symptoms are not getting better at home even after 10 to 14 days of treatment, then seek medical help.